The uniquely designed London Composition 001 by Tema Home is a harmonious blend of versatility, everyday function and elegant, modern design and makes a beautiful accent piece for any decor. 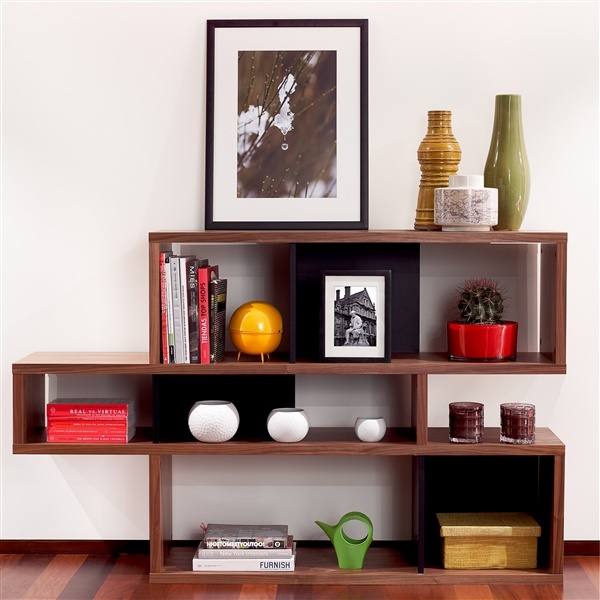 This modern shelving unit features a fresh, contemporary design that includes three unevenly stacked shelves that create both a distinctive look and versatile storage and display space. If its style isn't already unique enough, the London Composition 001's frame and back panel finishes can be customized to accommodate your taste and complement your decor. Choose the same color for both to create a consistent look or mix-and-match for a more distinctive look!